Is Talcum Powder Giving You Ovarian Cancer? The answer is – quite possibly. 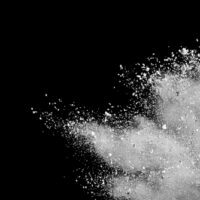 Multiple studies have surfaced showing a disturbing link between long-term use of talcum powder products and women developing ovarian cancer. According to a Harvard Medical School study, women using talcum powder around the genital region on a daily basis have a 40 percent higher risk of developing ovarian cancer. Even women who used a talc product just once per week had a 36 percent higher risk of developing ovarian cancer. dedicated to public health was “an obstacle” to talc powder sales. The company could have halted the sale of their talc products, or at the very least included a warning on the label. Instead, they continued to market talc powder as a safe product for the masses. More than 2,500 lawsuits have been filed against large talc powder manufacturers like Johnson & Johnson. Of the cases that have gone to trial, juries were shocked to learn of the corporate indifference displayed by these massive companies. For example, a jury recently ordered Johnson & Johnson to pay $417 million to a 63-year-old woman who used talc powder products since she was an 11-year-old girl. She is now dying from cancer. This $400+ million jury award is the biggest yet against Johnson & Johnson, which has lost multiple jury trials involving talc baby powder and Shower to Shower powder, according to The Washington Post. If you or a family member was diagnosed with ovarian cancer after using a talc powder product for multiple years, you may be able to file a claim against the manufacturer. Pursuing a talc powder cancer claim is one of the only ways to send a clear message to a company like Johnson & Johnson that their total indifference and callousness towards to safety of their consumers will not be tolerated. Taking on a large corporation like Johnson & Johnson is not easy. They have a team of attorneys and investigators who spend their days trying to reduce or deny injury claims. This is why you should contact the attorneys at the Miami law firm of Alan Goldfarb, P.A. We help level the playing field and will provide you and your family top-notch legal representation.